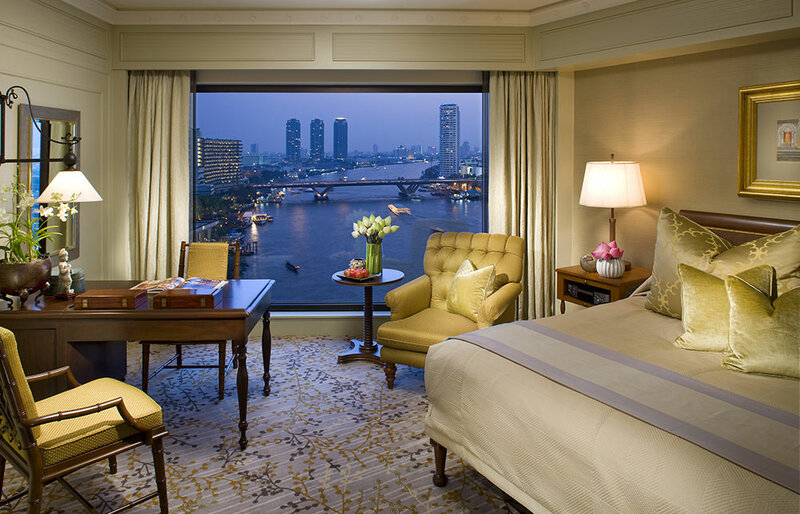 Every city has its iconic hotel and The Mandarin Oriental is Bangkok’s. Generations of notables have walked through its doors and today it offers an exquisite riverfront experience that will leave you in transportations of delight. ‘The Oriental is the most glamorous hotel in the world!’ declared that doyenne of all things fabulous Barbara Cartland. 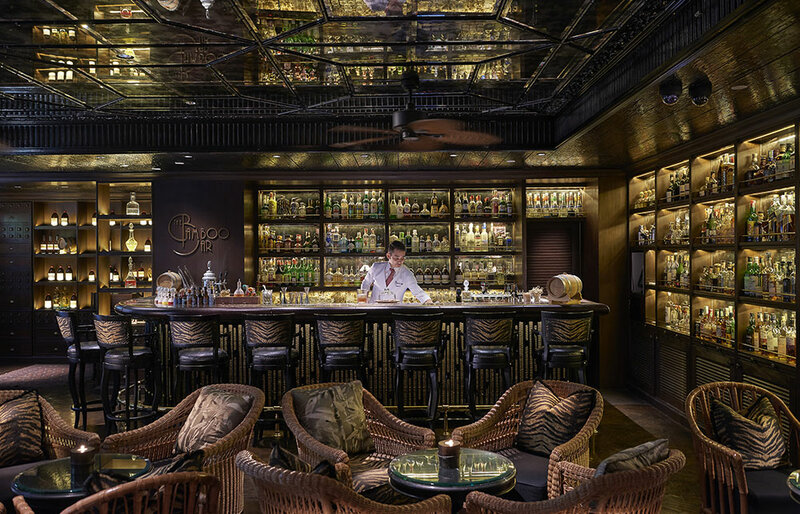 The hotel’s guest list spans three centuries of celebrities, from Tsar Nicholas II of Russia, to Neil Armstrong, Elizabeth Taylor, Princess Diana, Johnny Depp and David Beckham. But it is the Mandarin Oriental’s literary connections that most impress. Famous writers who have been inspired by its fabulous cosseting include Joseph Conrad, Somerset Maugham, Noël Coward, James A Michener, Graham Greene, William Golding, Norman Mailer and John Le Carré. 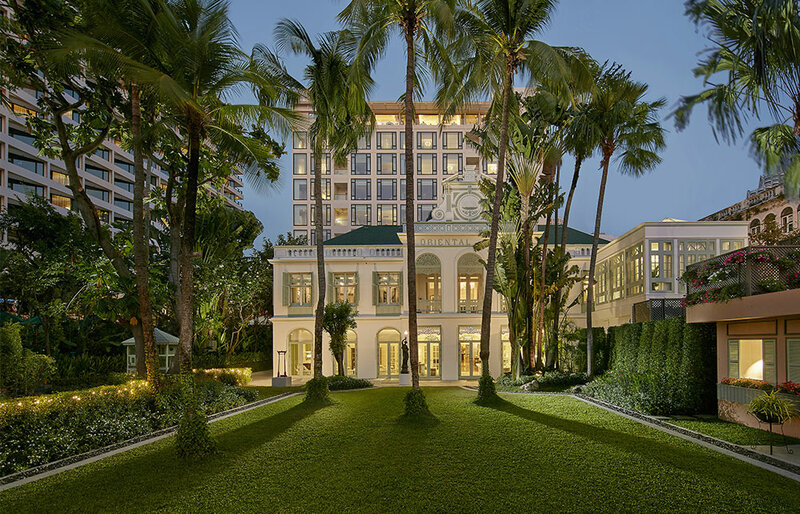 Today, the fairytale old Writers Wing, recently restored to its former glory with its louvered shutters and fretwork arches, is sensationally contrasted with the sleek contemporary main building which is now the main element of this legendary Bangkok hotel. 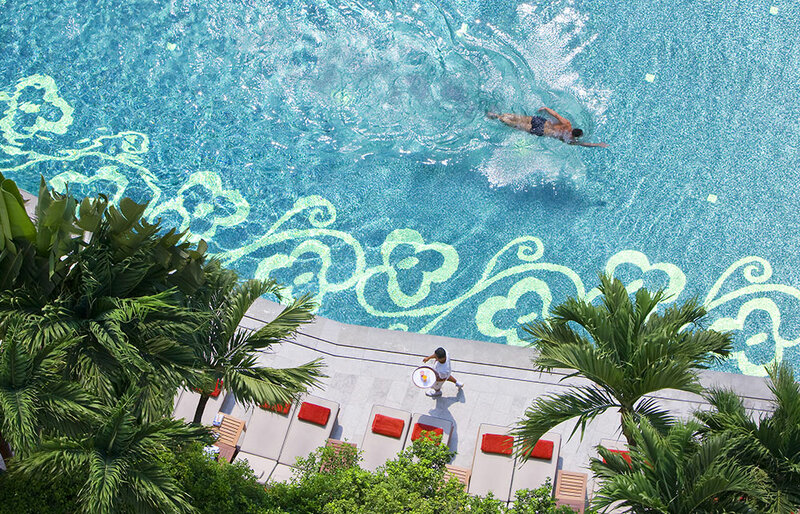 Make no mistake, the Mandarin Oriental Bangkok is a big Bangkok luxury hotel. But most of the 324 rooms have a river view and you’ll get all the perks of a stunning five-star hotel including private butlers, sumptuous beds with dream-inducing mattresses, and beautifully appointed bathrooms, with huge walk-in rain showers and deep bathtubs. The dining experience is amongst the best in the city. 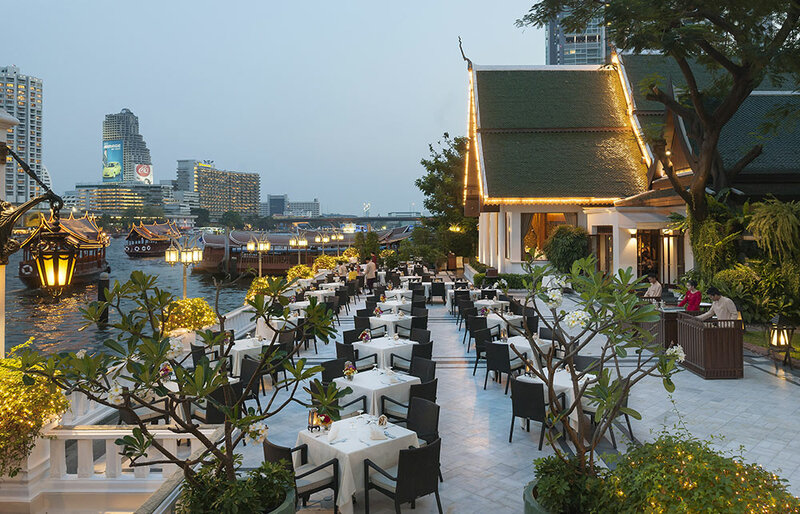 Bangkok socialites trek across town to eat in the Art Deco China House or to dine on the riverfront. In fact, no less than nine options for eating and drinking so you’ll be spoiled for choice. The facilities will leave you astounded. 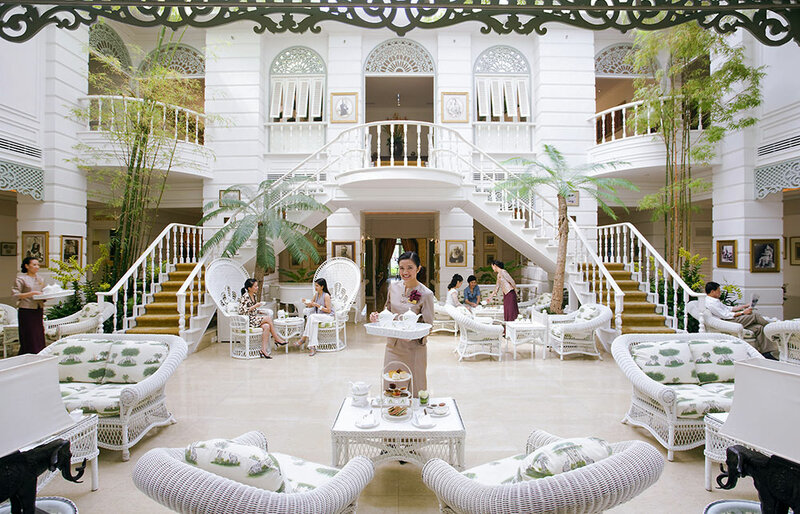 If you want to sample the spa, jump in one of the hotel’s old Thai barges with its uniformed skipper who will ferry you across the river to the to a walled sanctuary that houses a magnificent retreat for body and soul. You’ll also find the state-of-the-art gym, jogging track and tennis courts over the water. Afternoon tea (ohhh… those home-made scones!) in the Writers Wing is a moment straight from your dreams. Be waited on hand and foot and relive the most lost charms of a bygone era. The nearest Skytrain station is just a few minutes walk. And you can go down river straight to the Grand Palace by boat from the hotel’s pier. The barbecued rock lobsters, smothered in a garlic butter, from the riverfront restaurant were so moorish that Som, our ever attentive waiter, had to bring us a second round fresh from the grill.